Firewood delivered by the cord! No two jobs are the same. That’s why we like to get out to the site and get the lay of the land before we give you our honest-to-goodness appraisal. Once you have our assessment, it’s up to you whether or not you want to hire us. There’s no pressure, and no risk involved. Once we’ve established a price, work can begin. We specialize in the small jobs with a keen eye for detail and we’re attentive to your specifications for the job. Most of our jobs are completed within one or two days, and completion includes clean up. It’s our belief that you hired us to make your home both safe and beautiful, so we don’t leave a mess behind. No broken branches, no piles of top soil. 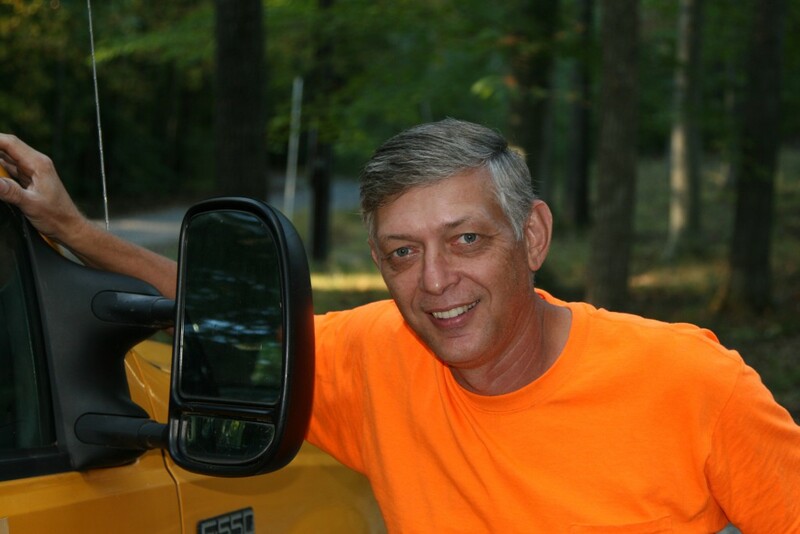 After cleanup, owner-operator Mark Elliott will be in touch with you to make sure that you’re satisfied with the job. From start to finish, we’re there to transform your property into your perfect vision. We accept credit cards for your convenience: VISA, Mastercard, Discover, and American Express. We don’t just remove trees. 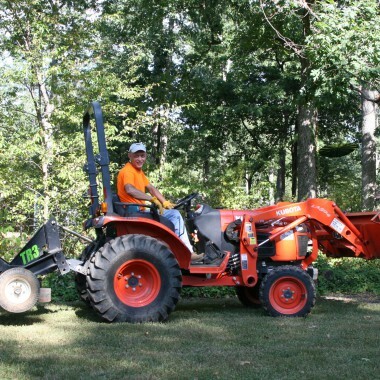 We also offer log splitting, stump grinding and removal, firewood delivery, lot clearing and bush hog services. Add topsoil and mulch to your garden, or take it away. We do excavation and grading, as well as gravel driveways. More and more Americans are reclaiming the outdoors with custom patios and fire pits. Show us your design, and we’ll bring it to life. How much wood could a woodchuck chuck? Honestly, we’re not even sure! Woodchuck Stumps, LLC was founded in 2013 by owner Mark “Stumpy” Elliott to fill a niche needed by homeowners, and to escape from the corporate “Rat Race”. We have since helped many wonderful clients reclaim their land from Mother Nature’s Chaotic advance, or at least tame her some. Our Story. A friend had about 40 or so pine trees cut down and the trees were left behind, helter-skelter on the property leaving it unusable. The amounts that were being quoted to cut the trees and stack them by the big tree companies was astronomical. I offered to do it for half the price as a friendly gesture, and my offer was immediately accepted. We did the work and haven’t looked back since. Humble beginnings. Growing up in farm country, we never hired people to do our work, we did it all ourselves, that’s what farmers do. Get on a machine or piece of equipment, saw it, dig it, trench it, fence it, build it, grade it, and do “it” correctly once so that you don’t have to spend time and money doing “it” again. . That’s how I grew up, learning from the experienced farmers, and of course my father who was a carpenter himself. Back then a handshake was all you needed and you were off to work. Today we still believe in the value of the handshake and the honesty, and integrity that are implied with it, but we will give you a contract as well, it’s just the world we live in. We specialize in doing the small, nimble jobs some of our bigger competitors can no longer afford to do cheaply or quickly, however, we will take on a 5 acre lot just as easily, giving you the homeowner a cost effective option. Cutting out the red tape and high overhead gives you, our valued customers, lower prices and greater flexibility in your landscape plan. Tell us your dreams and aspirations and we’ll partner with you to make them come true. We’ve had the great fortune to work for some amazing people who have allowed us to bring their vision to life. 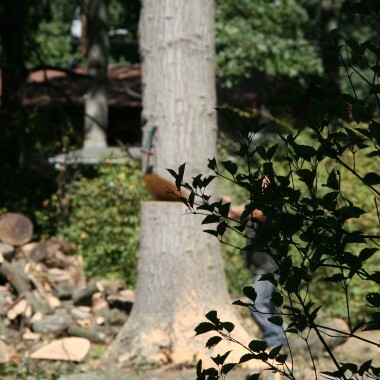 Tree and stump removal, firewood for sale, mobile log splitting, and more. Click through to see what we can do for you! Maybe you don’t need extra greenspace, maybe you need hardscape. 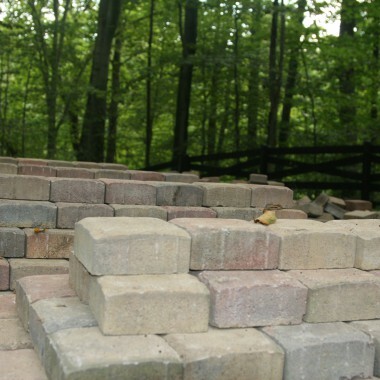 For patios, fire pits, walks, walls and more, we’re you’re guys. We accept VISA, Mastercard, Discover, and American Express for your convenience. If you have an alternate payment method you’d like to use, it won’t hurt to ask. No one should be kept waiting. That’s why we get back to you within 24 hours to schedule an on-site assessment. If you’re not ready to schedule a consultation, feel free to send us a message below. Woodchuck Stumps launched in 2013, and has served a wide range of clients with 100% satisfaction since. All employees are seasoned professionals who are dedicated to providing the best quality service to every client. When you work with us, you know you’re working with someone who is truly invested in your project. Mark is involved in every project, and takes great pride in seeing your vision come to life. "Mark, Juan and I wanted to thank you for all your help and guidance in addressing the numerous issues with our neglected driveway. With all the rain we have had over the last two weeks we have seen no re-occurrence of potholes and no erosion. The additional driveway base you recommended and laid as well the regrading you did really has made a difference. It was a pleasure working with you; we really appreciated your honesty and straightforward discussions regarding pricing. We truly are grateful for the help and work you provided, and look forward to working with you again in the future." Happy with your service? Tell us about it!